Location: 5724-G East W.T. Harris Blvd. Charlotte, NC coffeehouse and bistro, Lava Java, has blended a coffee house, bistro, roastery, and bar with live music into Charlotte's best location to visit when fine dining, gourmet coffee and the best martinis in charlotte are what you are looking for. This fine dining restaurant and coffeehouse features a large range of choices like crab bisque, rib eyes, chicken crepes, pan seared salmon and roasted chicken. This bistro sets itself apart from all others by having its own coffee roaster in-house. 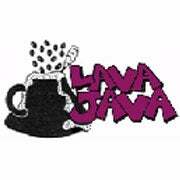 Lava Java features a master roaster and chef. So come visit us and enjoy a martini or cocktail in our custom built bar.